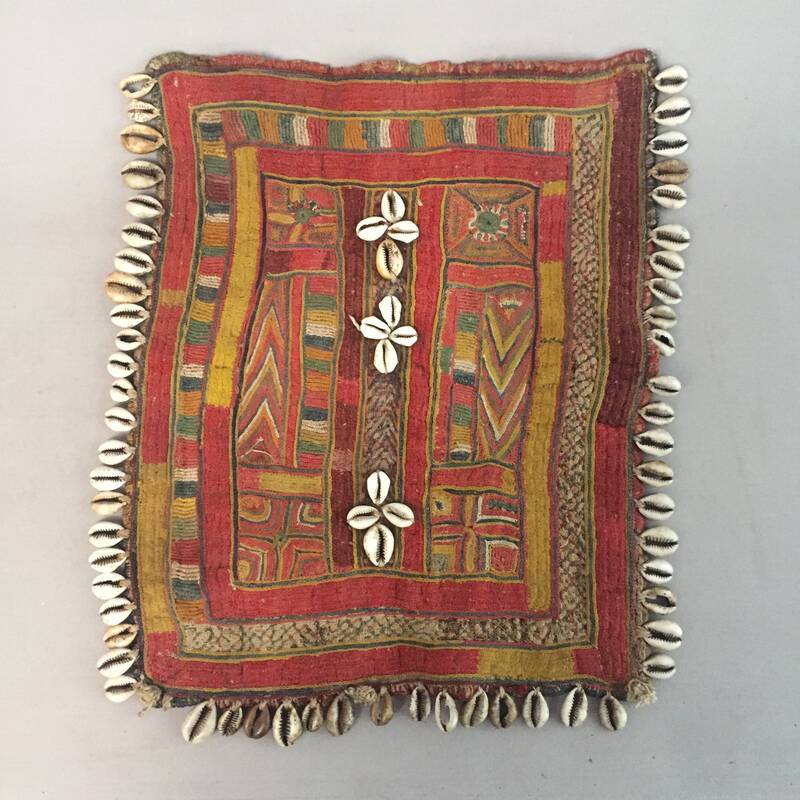 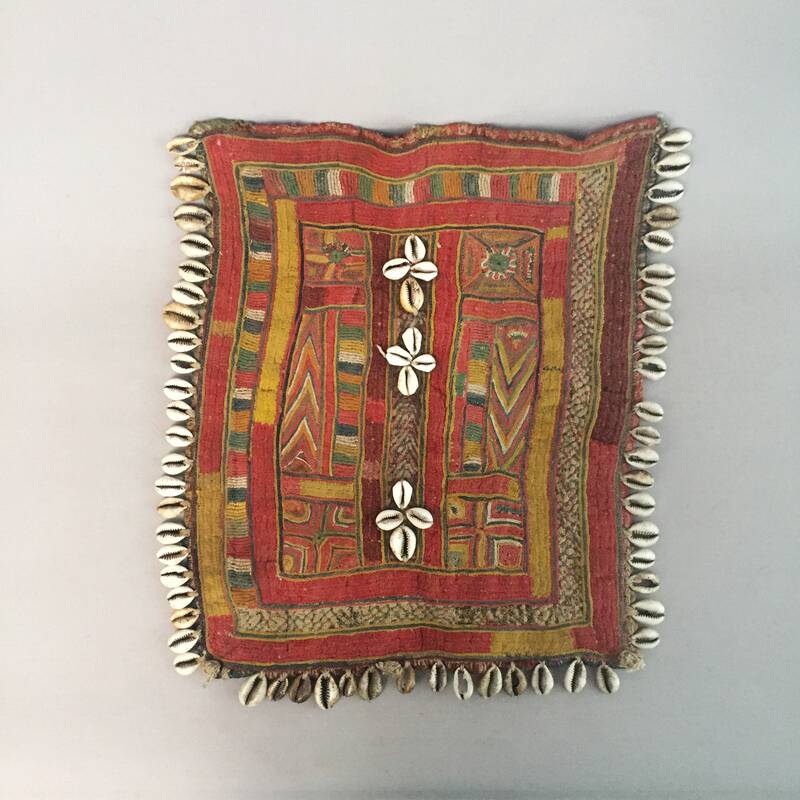 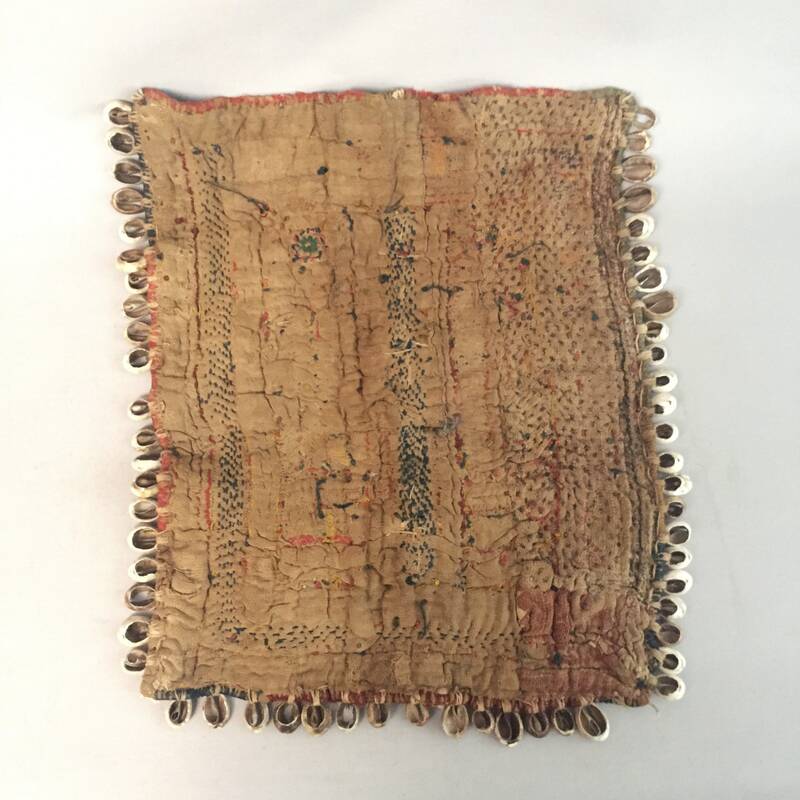 An antique and very rare old karnataka Lambani Banjara patch . 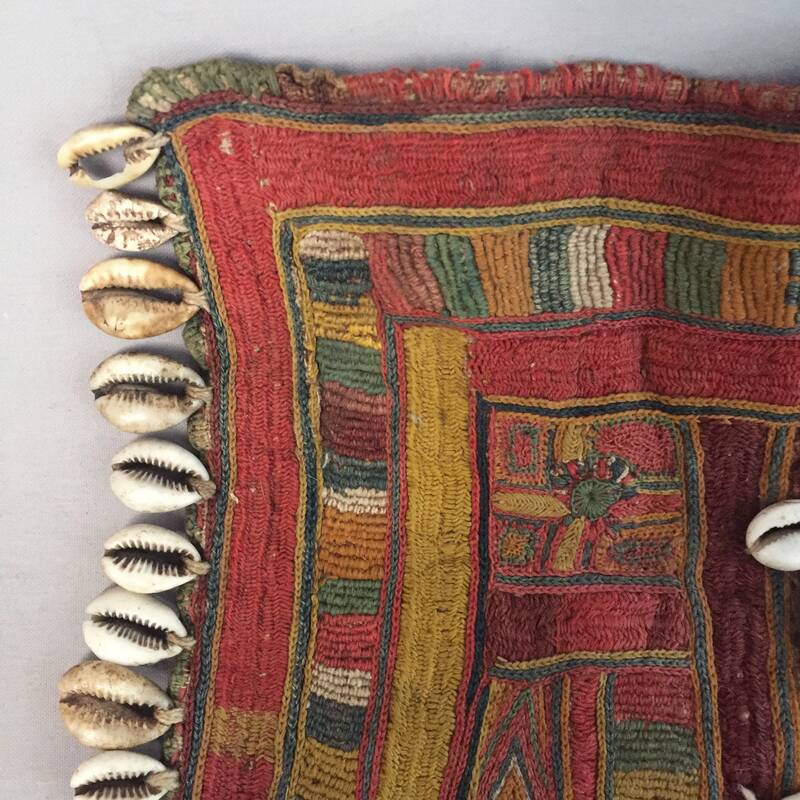 This piece would ideally be framed and put on a wall. 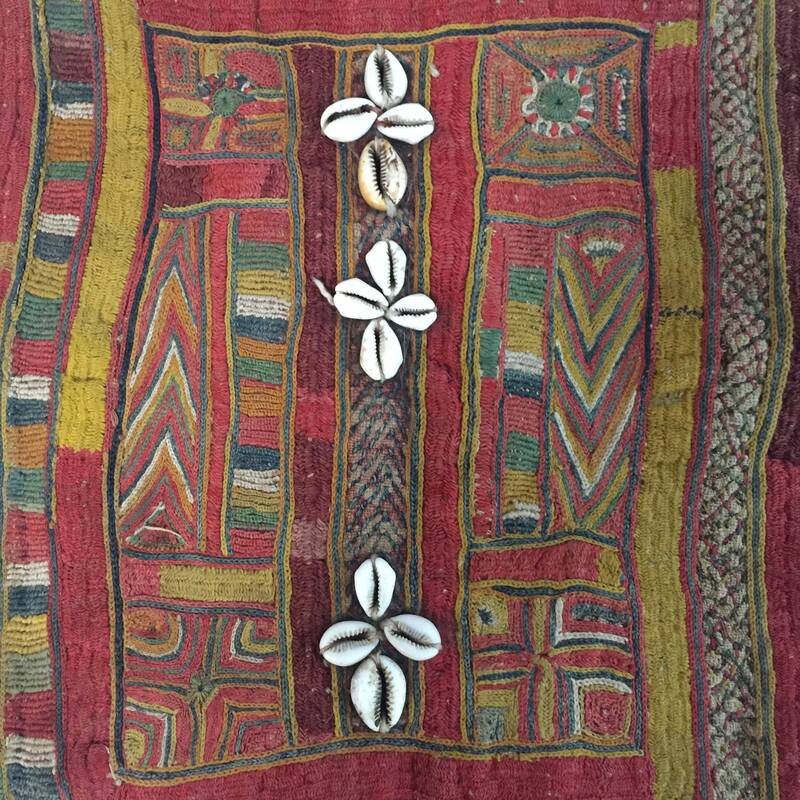 cotton embroidery on cotton on quilted cotton field .Saturated natural dyes. 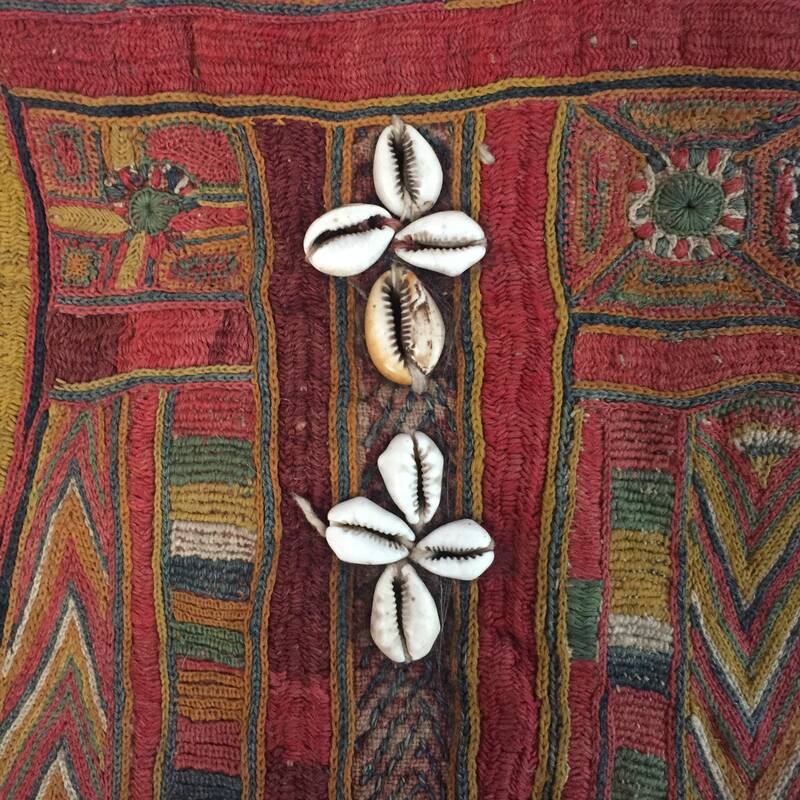 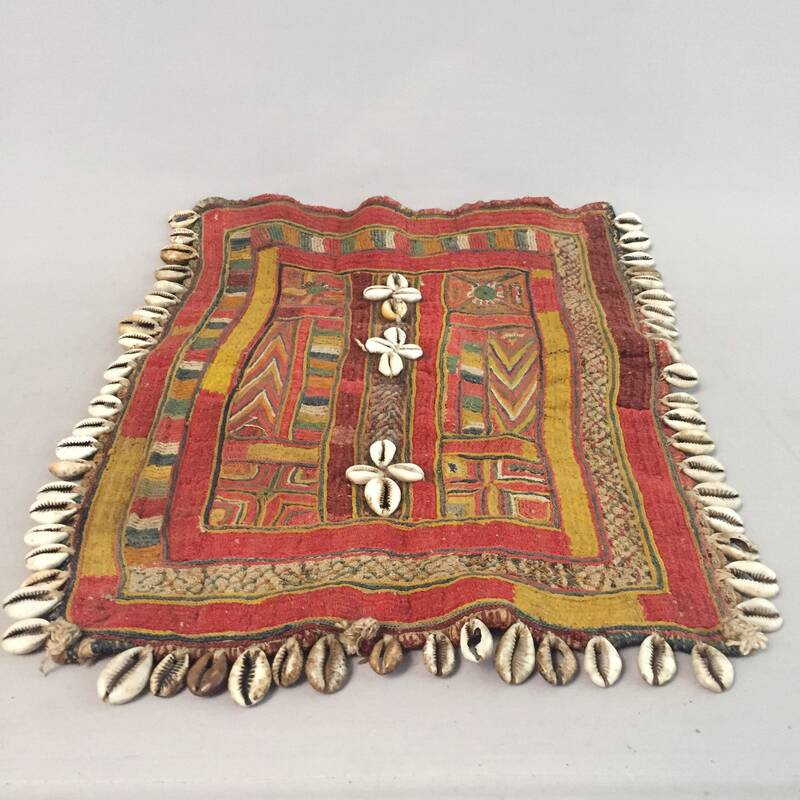 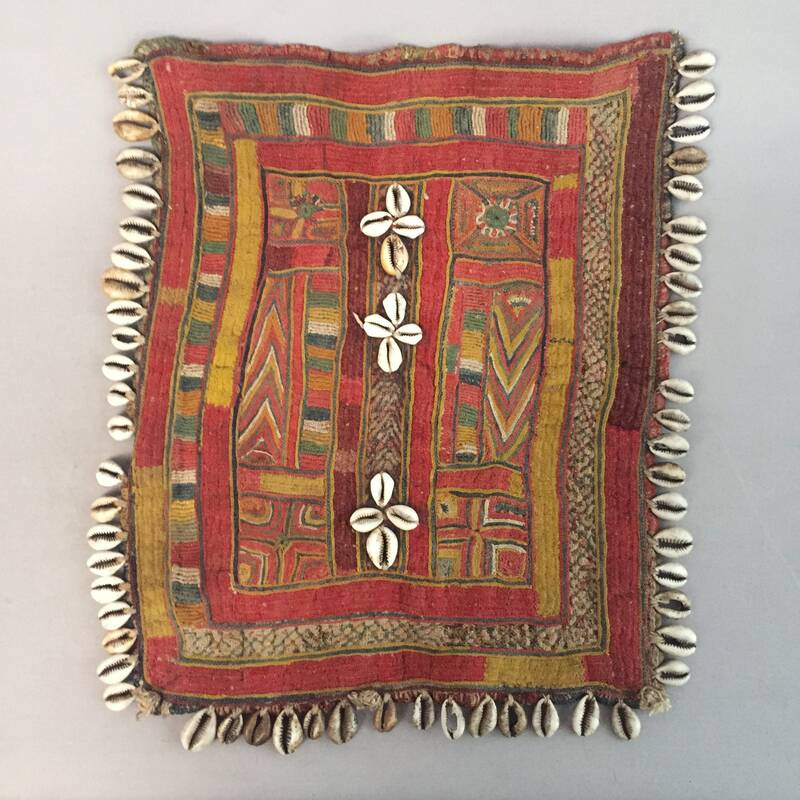 Hand embroidered crewel work done by Karnataka's Lamani Banjaras decorated by cowry shell on 3 sides and vertically floral design in the middle of the patch The shells are darkened with age . 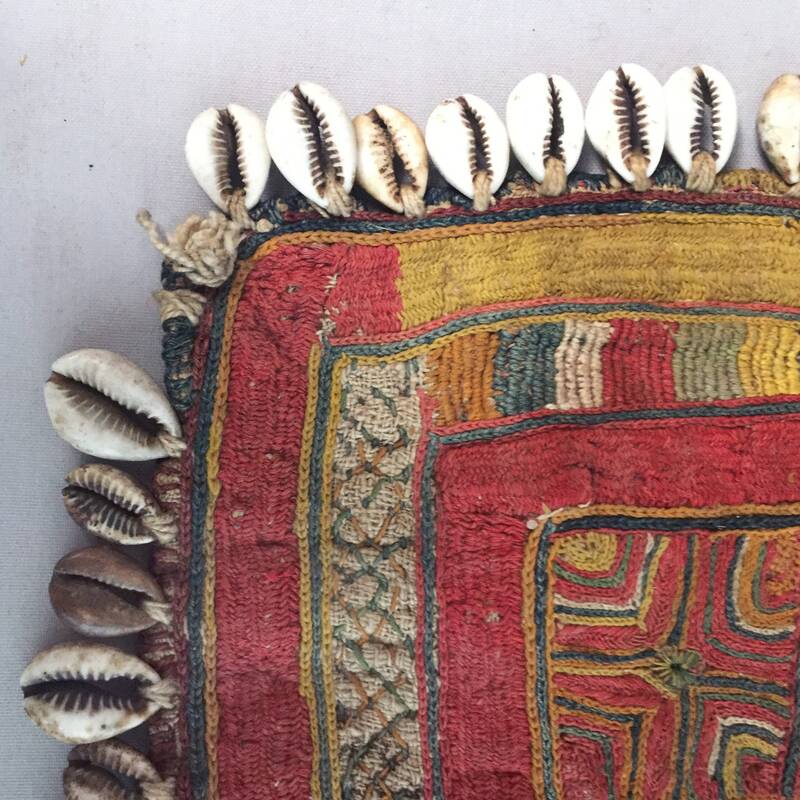 This is a very old example of this beautiful craft, a very special piece - these patches are very rare to find.